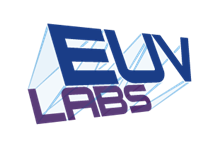 The project is aimed to solve the key problems impeding the organization of the high volume manufacturing based on the technology of EUV lithography. While the research carried out, the possibility of technical implementation of proposed solutions to the high volume manufacturing lithography to be shown. Solutions being developed by the project team lays in different areas, such as: switch to the solution of less than 22 nm processes, optical nanodiagnostics, inspection, cleaning and protection of multilayer EUV-optics in nanolithographic machines. EUV is a leading-edge technology, which is supposed to dominate in 2015-2020 (use of the 11-22 nm scope), and by 2016 the market share of this production will consist over 65%. The next stage after the adoption of the EUV technology is the switch to the new generation of sources – the BEUV sources. The launching of production of equipment with BEUV sources is coming in 10 years. The company is open to discuss further investments opportunities, strategical alliances and partnerships.